Norway and the European Union announce an "extraordinary session" on January 31 in an attempt to push the two-state solution. Norway and the European Union announced on Wednesday they will convene an “extraordinary session” at the end of the month in an attempt to push the “two-state solution” to end the Israel-Palestinian Arab conflict. Norway’s Foreign Minister Ine Eriksen Søreide and the EU’s High Representative Federica Mogherini said in a statement on Wednesday they had decided to convene the session of the international donor group for “Palestine”, the Ad Hoc Liaison Committee (AHLC). The meeting will be held in Brussels on January 31, according to the announcement. “There is an urgent need to bring all parties together to discuss measures to speed up efforts that can underpin a negotiated two-state solution,” the statement said. “Furthermore it is necessary to enable the Palestinian Authority to execute full control over Gaza, based on the Cairo agreement from October 12, 2017,” it added, referring to the Hamas-Fatah reconciliation agreement. The session follows U.S. President Donald Trump’s recognition of Jerusalem as Israel's capital last month. The European Union rejected Trump's move, saying they stuck by their view that the city's status should be settled by negotiation. 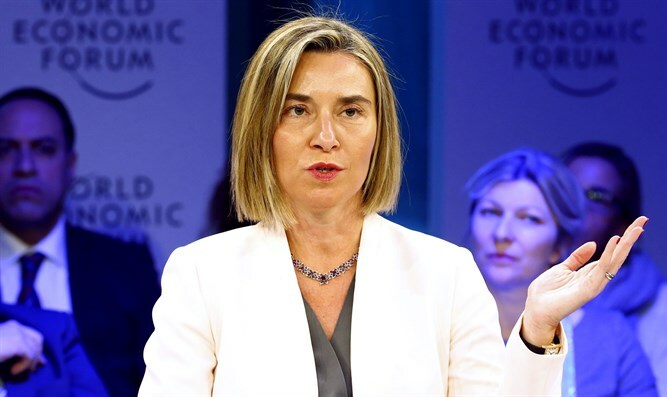 Mogherini had previously voiced alarm at Trump’s decision, warning that it could take the situation "backwards to even darker times". In the wake of Trump’s move, the Palestinian Authority (PA) has stepped up its efforts to achieve unilateral recognition of “Palestine”. On Sunday, PA officials indicated that Abbas will meet with the EU's foreign ministers on January 22 in Brussels and will ask them to recognize a Palestinian state on the pre-1967 territories with eastern Jerusalem as its capital. Earlier this week, Rami Hamdallah, the head of the Palestinian Authority (PA) government in Ramallah, met with Norway’s foreign minister and urged her country to recognize “Palestine”.